If you have to choose between reading this book and Conundrum by Richard Bacon and Christopher Hope, don't. Read them both. 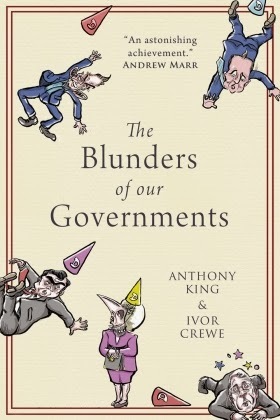 Messrs King and Crewe start, like Bacon and Hope, with the descriptions of a dozen examples of UK government blunders. They then diagnose the problems and write out their eminently sensible prescriptions. Private Eye get just one citation in Blunders and no citation at all in Conundrum. Which is odd – not much seems to get past Private Eye. If there's a bit of public maladministration going on, they seem to hear about it and they report it. The same cannot be said of other media outlets, whether printed, broadcast or on-line. Many blunders simply do not get picked up. They fail to become scandals, as Messrs King and Crewe point out, even when they're huge. Parisians call it the "Metro" and new Yorkers call it the "Subway". We Londoners call it the "tube". And when Labour came to power in 1997 the tube was falling to pieces. Gordon Brown and John Prescott set about fixing it. Although the figures are open to dispute ..., the PPP blunder certainly cost UK taxpayers not less than about £2.5 billion and probably far, far more, possibly in the region of £20-£30 billion. £30 billion (maybe), and the media never got this scandal – the Metronet scandal – into the public consciousness. But so what? You don't imagine that the perpetrators suffer, do you, even if their blunder does become a scandal? Surely you don't still believe that the buck must stop somewhere, mustn't it? With Whitehall officials, whose job it is to advise ministers and to implement policy? Or with ministers? No. There's a lot of talk about accountability and responsibility. Baroness Jay once managed to lay on two hours of entertainment provided by not one, not two, not three but four former Cabinet Secretaries talking about these strange private sector concepts. And only the other day the current Cabinet Secretary said it was "unfair" to blame the Permanent Secretary at the Department for Work and Pensions for the Universal Credit blunders and what's more it was "harming civil service morale". ... and, à propos, Gordon Brown put in ten years as Chancellor of the Exchequer and three years as Prime Minister despite Metronet. More MPs could usefully see themselves as real legislators and not just as social workers, cheerleaders, askers of questions and occasionally – once blunders have already been committed – conductors of belated post-mortem inquests. Their book is a plea for Parliament to do its job of deliberation properly. At the moment, too often, unnecessarily and expensively, it fails. That's the final point they make in the main body of the book before a Postscript covering the coalition government to date, deliberation – there are more effective ways of deliberating than are currently used at Westminster or in Whitehall. The notion of ministers, officials and their consultants and contractors being accountable the way the rest of us are does not exist solely in the "British psyche". It's also on the statute book. There is an offence known as "misfeasance in public office". There are sound arguments that you don't want to push this sort of thing too far because democracy might shatter. Be careful what you wish for, and all that. There are also sound arguments that in a democracy no-one is above the law. Not even the legislators. Suppose that, in connection with Universal Credit, someone brought a charge of misfeasance in public office against Iain Duncan Smith, Robert Devereux and the UK heads of Accenture, IBM, HP and BT. 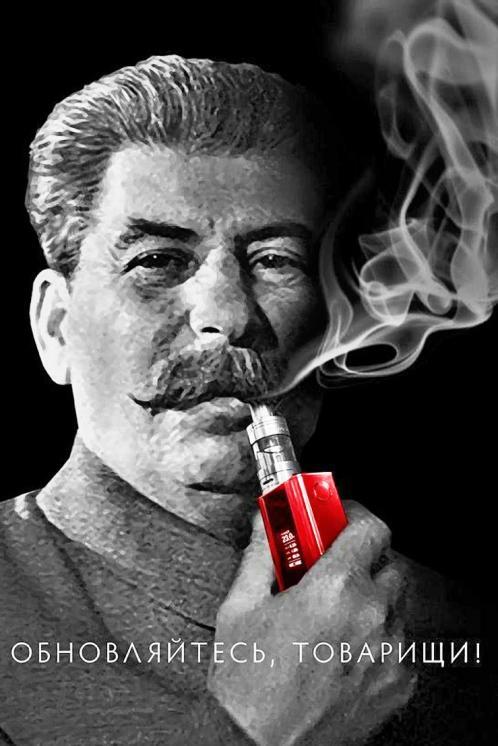 Would democracy shatter, do you think, and let in some latter-day Stalin? Or would the effect of the law being enforced be more likely to cause Parliament in future to deliberate more effectively? 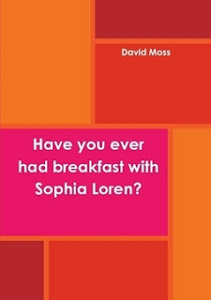 Answers in the second edition of this excellent book, please. Misfeasance in public office is not on the statute book. Joshua Rozenberg tells us that: "Misfeasance in public office is a tort - a civil claim that does not rely on the existence of a contract between the parties. It was not created by legislation: instead, it forms part of the common law, the distilled wisdom of judges through the ages". In The English Law, chapter 6 of his England: An Elegy, Roger Scruton argues that common law is distinctive of the peculiar English character, it is an expression of the national psyche. To describe the idea of individual ministerial responsibility as having a hold on the British psyche, as Messrs King and Crewe do, is in that case profoundly accurate. No quibble there after all. Further, as Duncan Fairgrieve tells us: "Misfeasance in public office is the only specifically ‘public law’ tort, and provides a remedy for citizens who have suffered loss due to the abuse of power by a public officer acting in bad faith". Since the UK heads of Accenture, IBM, HP and BT aren't public officers, even if they are the agents of public officers, it might be hard to bring a case of misfeasance in public office against them. That said, there remains in this British psyche, at least, an ineradicable belief that there's something wrong with government being a responsibility-free zone.